For most people, adulthood is a seamless transition. When someone turns 18 in Texas, in the eyes of the law they can sign a contract, make their own medical decisions, get married and vote, among many other things. For individuals with disabilities, it is not that simple. 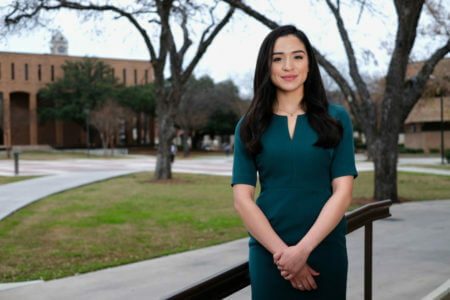 Leslie Alvarez, a second-year J.D. student at St. Mary’s University, is preparing to help her younger brother, who has disabilities, with legal choices once he becomes an adult. That prompted Alvarez to start a new workshop to help people who have disabilities and their families understand their legal options. When a person with disabilities turns 18, parents are no longer able to access their medical or school records. Schools may advise parents to get a guardianship, which gives all of the child’s rights to the parent. But that has downsides as well. Until recently, guardianship was the only option. But in 2015, Texas became the first state to recognize supported decision-making agreements, or SDMAs, which allow a person with disabilities to appoint a supporter — a parent, usually — who can take part in the person’s life, legally. With the goal of informing more families about SDMAs, Alvarez started the law school’s Supported Decision-Making Agreement Workshop.